The ROC Board wanted to give you all an update on the 2017 elections. First of all, we want to thank David Smith, Rick Dickinson, and Rick O’Neill for their support over the last three years as Board members. Consistent with the ROCbylaws, the club sought volunteers to fill the three open Board positions through election. Thanks to David Erbas-White for being our election chairman this year. We are pleased to announce that long time flyers Adam Dean and Allen Farrington put their names in the hat and will be awarded three-year Board terms commencing on Saturday, November 11, 2017 at ROCStock. Both Adam;s and Allen’s statement for self nomination are attached below. Although we were not able to fill all three open Board positions, the good news is we have multiple volunteers to fill the remaining open position. Over the next several weeks the current Board will decide how to award the remaining positions. We will announce the plan during our annual ROC meeting at ROCStock. We are fortunate to have such a strong club with great people. Please join me in congratulating Allen and Adam on their new positions. My name is Adam Dean, I am a born again rocketeer. I became obsessed with the hobby in the mid 1970s, building and flying Estes Rockets with my father and brothers. I found myself looking at rockets on the internet about 3 years ago after my parent’s death and needed something to get my mind off what had happened. When I was at my dad’s house going thru things before the estate sale I had found pictures of us in the desert launching rockets and had dreams of one day building a large rocket and ran into the Rocketry organization of California web site on line and found a local launch at Lucerne Valley Dry Lake bed. I was hooked as soon as I went to the first launch and built and earned my Level#1 certification on the next months launch, and only a couple months later I obtained my level#2 Certification, now all I have to do is talk my wife into the idea of me doing a Level#3 project, man where the eyes rolling. Well here I am with permission from the wife and well on my way to new heights. 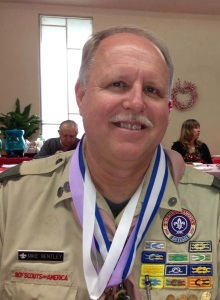 I’ve been a ROC member since 1998 and obtained my Level 1, Level 2, and Level 3 certifications at Lucerne Dry Lake. I enjoy flying rockets of all sizes and complexity and I am a professional rocket scientist at JPL where I organize and manage teams to execute planetary space exploration. I served on the ROC board for multiple terms in the past years, so hopefully I know what I’m getting myself into. While not currently on the BoD, I have supported ROC behind the scenes for the past several years as the BLM Representative. Last year, I was the Launch Director for ROC’s hosting of LDRS35. My wife, Cindy, is currently serving as ROC’s Treasurer, however, she is not on the BoD. ROC is currently enjoying a period of financial prosperity with a solid membership of approximately 100 executive members, has some of the best launch equipment in the nation, and has secured our launch site for the next 5 years with the BLM. As a member of the BoD I would endeavor to support the day-in-day out operations of the club. The challenge facing ROC over the next few years is similar to other clubs across the country and within Tripoli in that as our projects increase in complexity, attention to both range and spectator safety is paramount. With our proximity to Los Angeles, we are positioned to experience a more than average attendance of participants and spectators that don’t fully understand the inherent danger in our hobby. Don’t get me wrong, we’re not broken! But, the stakes are very high in that one major issue with a significant injury would have serious, potentially existential consequences. In addition to tracking the changes coming from Tripoli regarding safety, I would help the BoD take a leadership role in defining operational practices that enhance our safety for all participants.